Yay, it’s Friday! Of course with the whole mom gig I’m not sure that actually really makes a difference, but somehow Friday still always feels better. 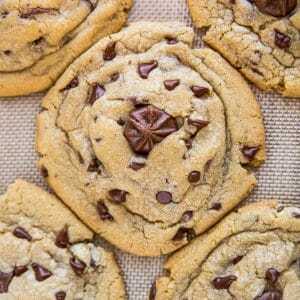 So how about a sweet treat this fine Friday? 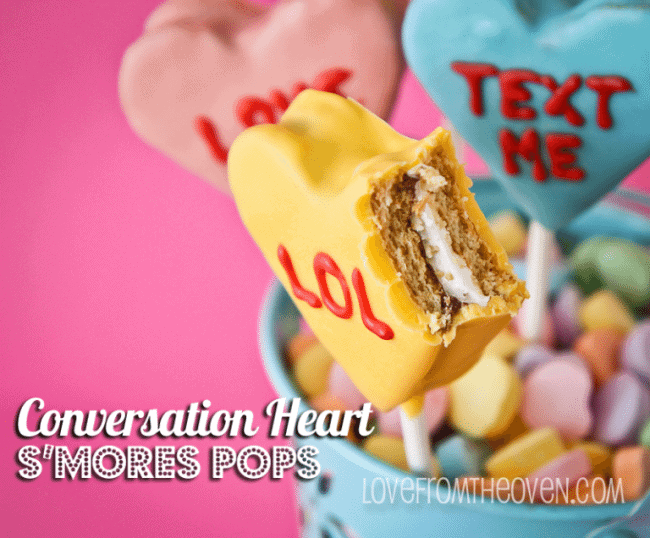 Conversation Heart inspired S’mores Pops. 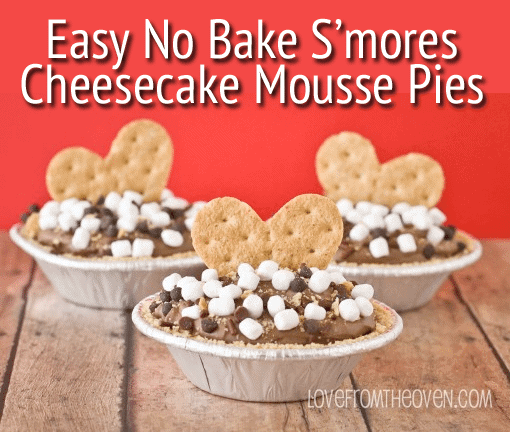 These are really quite easy to make and you won’t have to turn on the oven. 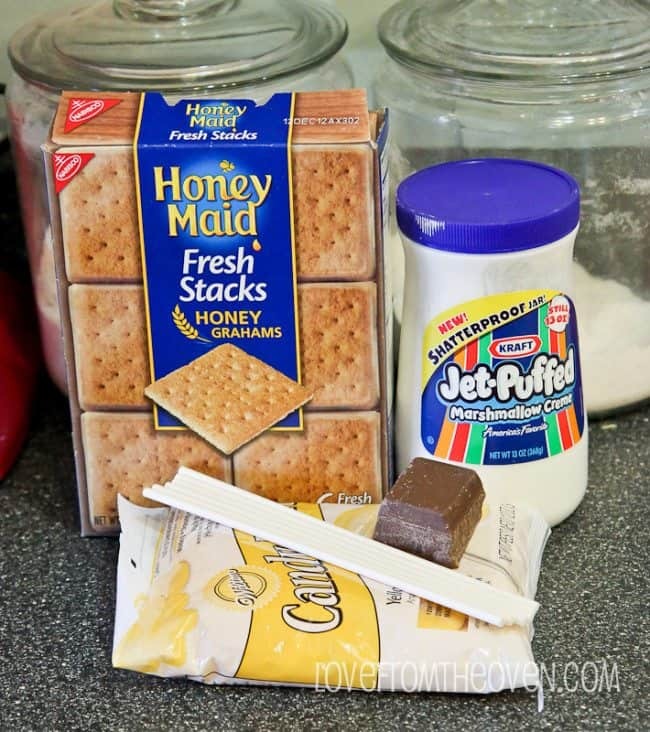 You will need graham crackers, marshmallow creme, chocolate for inside your s’mores pop and chocolate coating for outside your s’mores pop, along with lollipop sticks and either a frosting writer or piping bag to add your text. 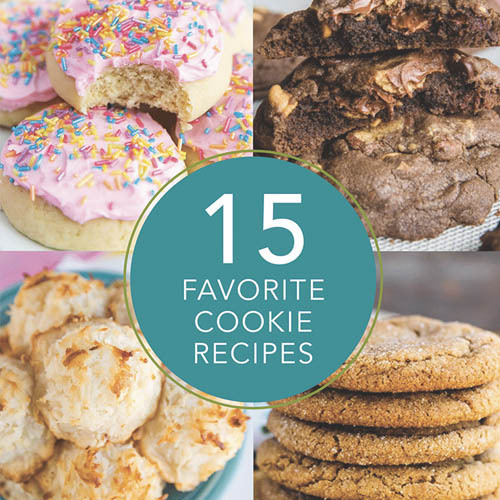 The quantities are going to be dependent on how many you want to make. 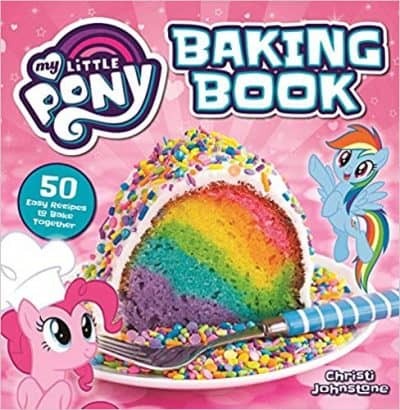 So here’s how you make these. 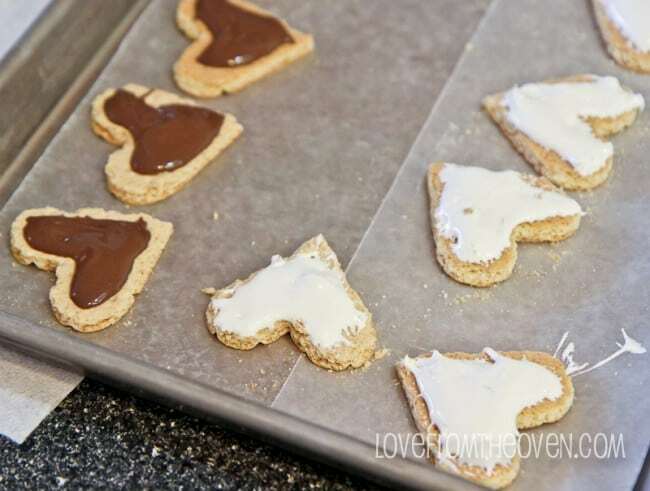 You start with cutting your graham crackers into hearts. 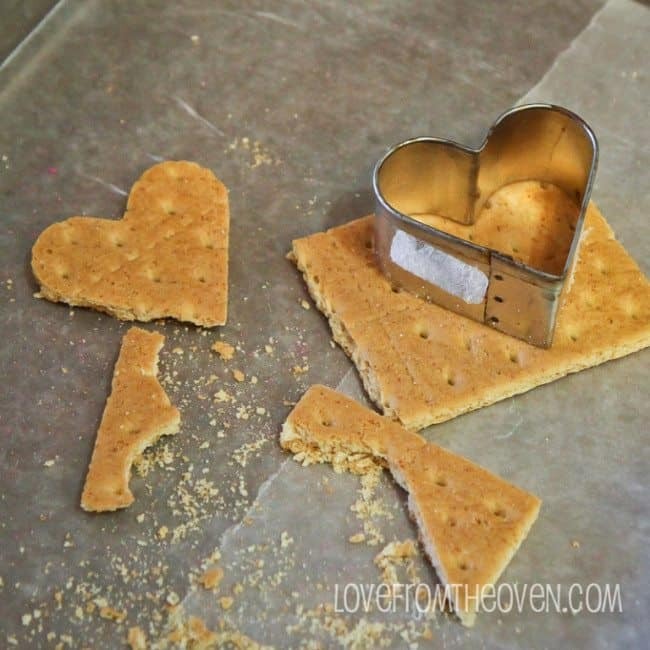 Did you know you can cut graham crackers with cookie cutters? Put that on my list of “things I learned in 2012”. Every time I do it, I swear they are going to break, and they don’t – the outside of the shape breaks, but the shape holds together. It’s pretty cool. 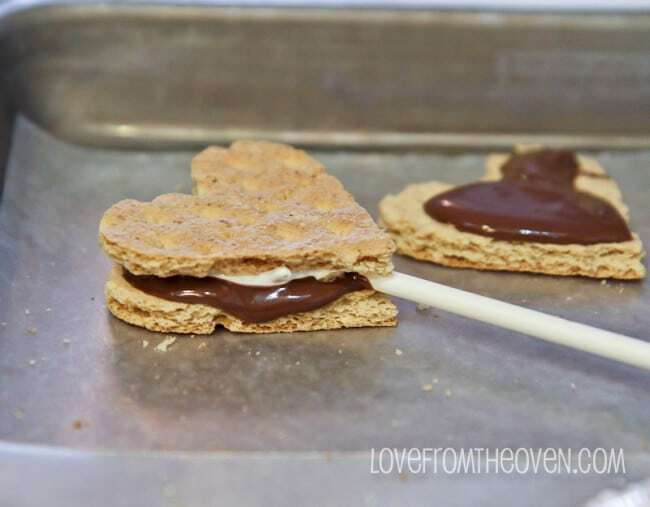 After you cut two hearts for each pop that you need, you are going to want to spread some marshmallow creme on one side of one heart for each pop you want to make, and then some melted chocolate on the one side of the other heart for each pop. I used a chocolate coating for mine. 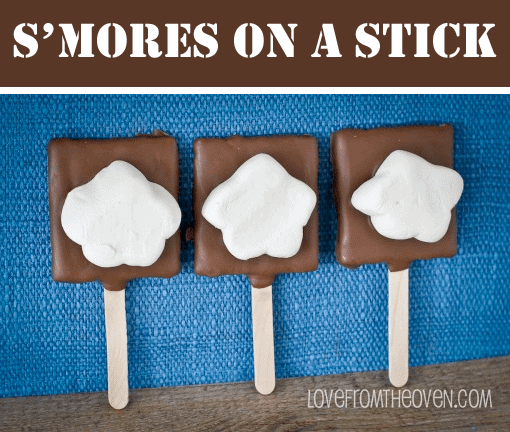 Next you want to add your sticks and sandwich your s’mores together. 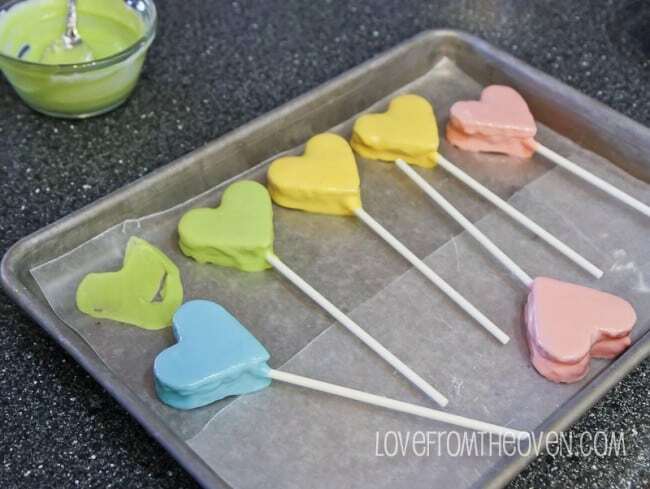 Don’t push too hard or they may break, be gentle and just get each of them together, with a lollipop stick in the middle, then stick them into the freezer to allow the chocolate to set up and the whole thing to hold together tightly. 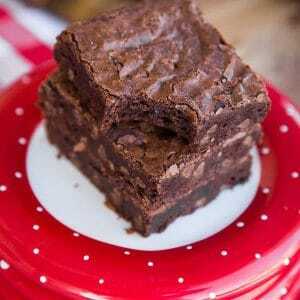 While they are freezing you can prepare your chocolate. 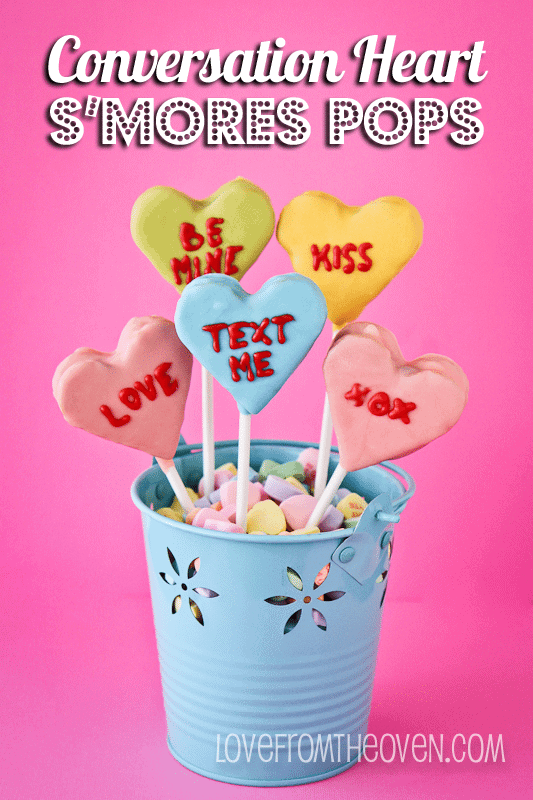 I used a few different colors to make mine, pink, yellow, green and blue and then I also used red chocolate coating to pipe the text onto each pop. 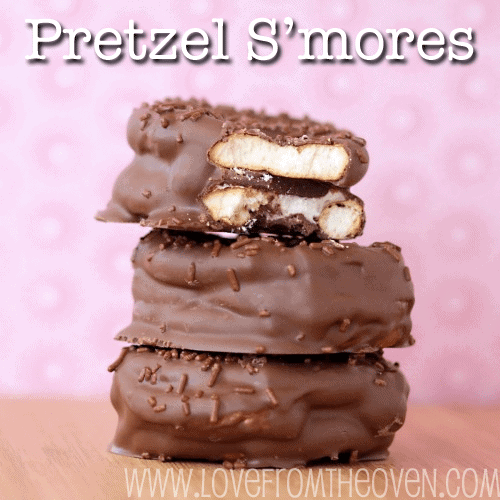 After they are frozen and your chocolate is ready, dip them into your chocolate and let them set up (visit this post if you would like some advice on dipping things in chocolate). 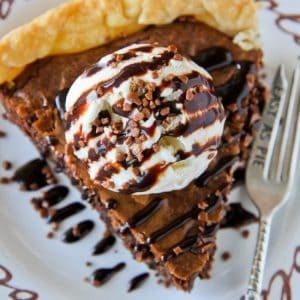 Once the chocolate is fully set and dry, you can pipe/write on your text. That’s it! Pretty simple really. 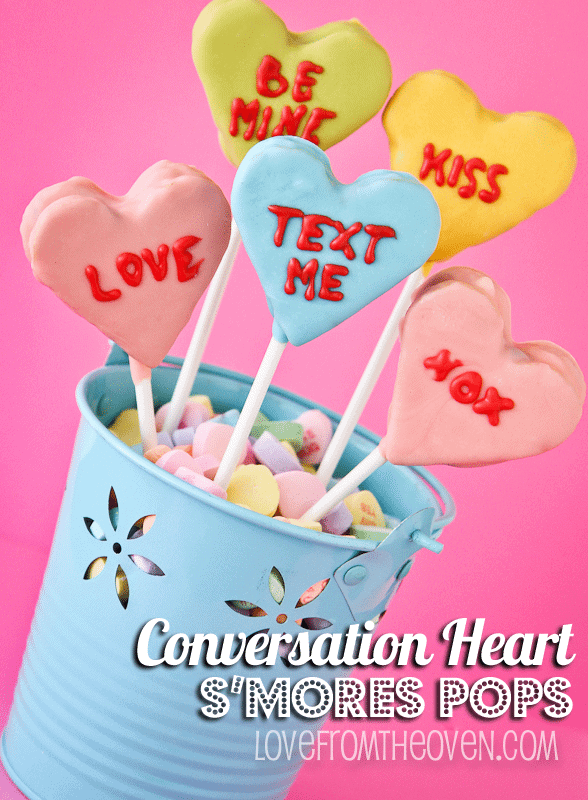 While these are made to look like conversation hearts for Valentine’s Day, you can use this same process to make plain s’mores pops or make them in any shape/color/style you like. 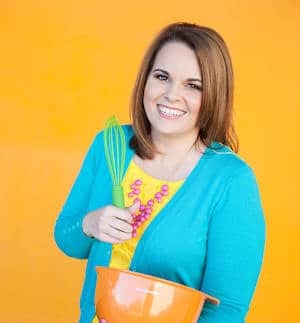 That’s one of my favorite things about chocolate coatings and sprinkles – you can remake the same basic item for any holiday, theme or occasion. These are so darn cute! I’m going to make these for my friends this Vday. Thanks for the tutorial. ps: Who knew about cutting graham crackers with cookie cutters??? 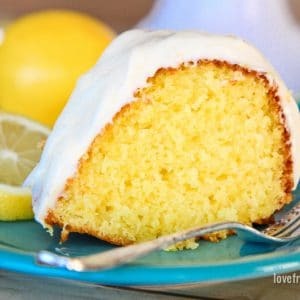 Can’t wait to try it my self! so cute! 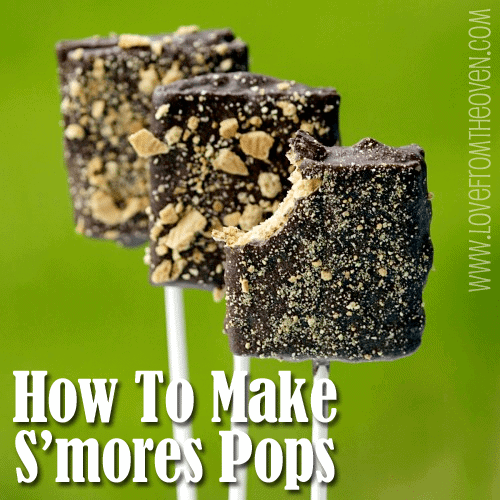 And a s’mores pop? What a good idea! So we were talking about bloggers who do an incredible job with their pictures and your page came up in our conversation. You seriously are so great at your presentation! We love love stopping by your page. I heart February. So much to celebrate. 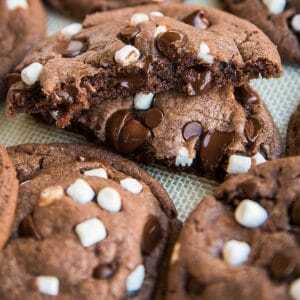 these looks AMAZING!!! 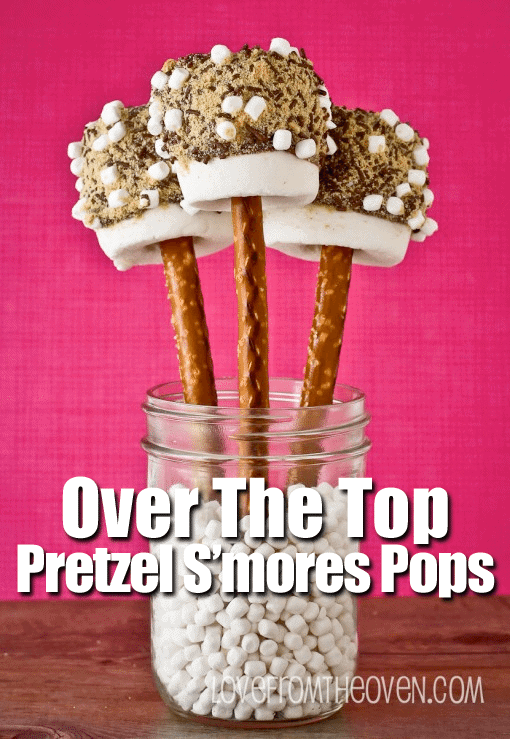 seriously drooling at my desk – so creative and so easy all at once, I love it! 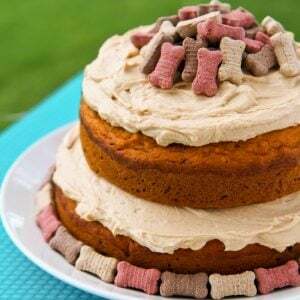 These are SO cute and I’ll bet they are super tasty too!